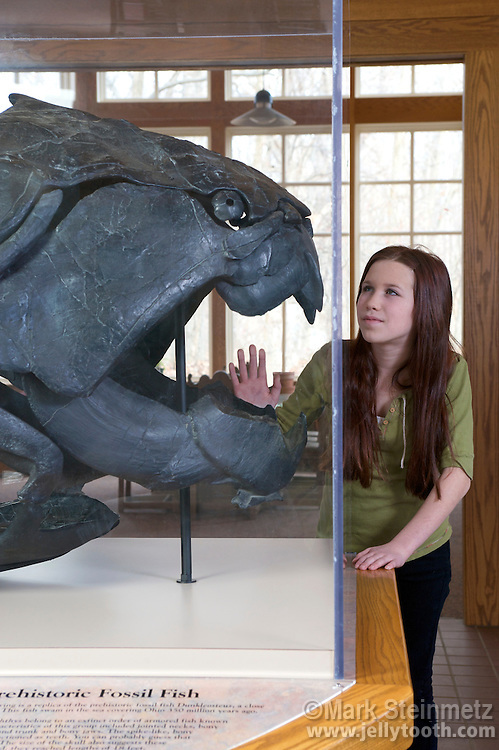 Cast of a Dunkleosteus terrelli skull, a Late Devonian Placodermi armored fish. Even its eyes had plates preserved by fossilization. Dunkleosteus was an apex mega-predator of the period, growing up to 30 feet long and weighing up to 4 tons. This is a replica of a fossil found by Jay Terrell in 1897 in the shales around Cleveland, Ohio, USA.